RageQuit Parkour is a challenging Minecraft parkour map consisting of 20 Levels. The objective is fairly straightforward: To complete all 20 Levels without ragequitting or to get as far as you can without ragequitting. Not only will your parkour capabilities be tested, but your persistence, determination and patience will be challenged as well. Will you be able to complete all 20 Levels? How far will you go before you ragequit? See for yourself! 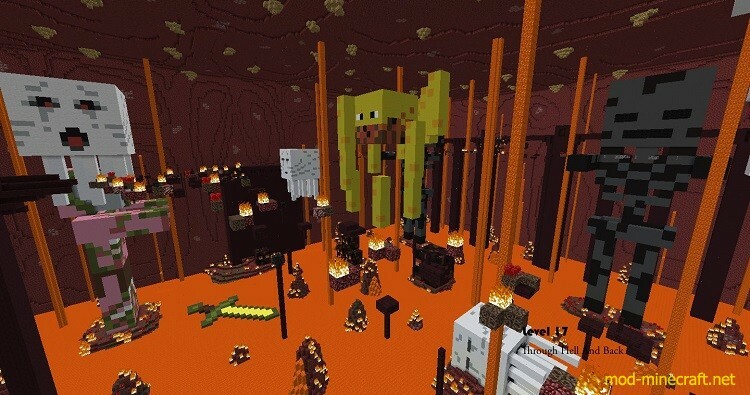 This map is intended for Minecraft Version 1.9.2+. Please do not play this map with any older versions! 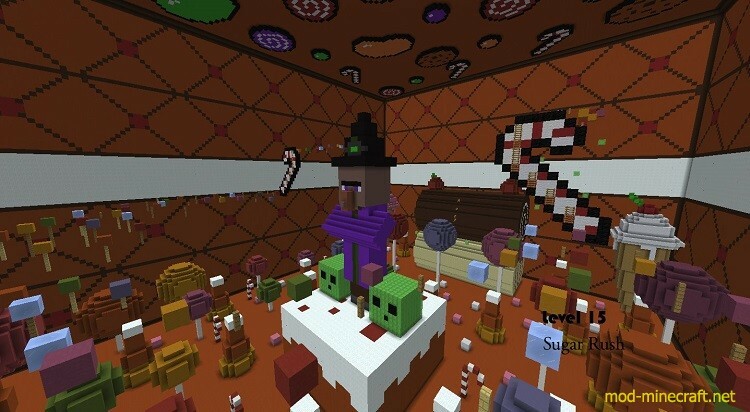 The map is also multiplayer compatible so you can play/rage along with other players. This map is fairly lengthy and is intended to be challenging. It starts off easy, but progressively gets much more difficult. I’ve had players test out this map for me during production, and I would like to give a huge shoutout to them (too many to list). Hopefully, you won’t run into too many issues while playing. To begin your jump journey of rage, you need to accept the Terms and Conditions on the back wall simply by walking on the pressure plate under the green entrance. Good luck and have fun to all you courageous parkourers who intend to face this challenging and difficult parkour map.